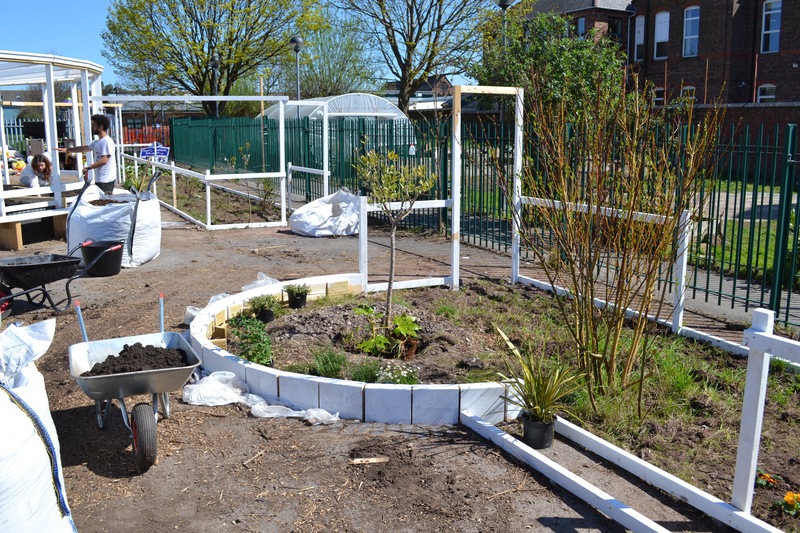 In the heart of Toxteth, a very special garden has been growing. Initially born from the mind of artist Mohamed Bourouissa, this amazing project was brought to life through the hard work and enthusiasm of the local community. 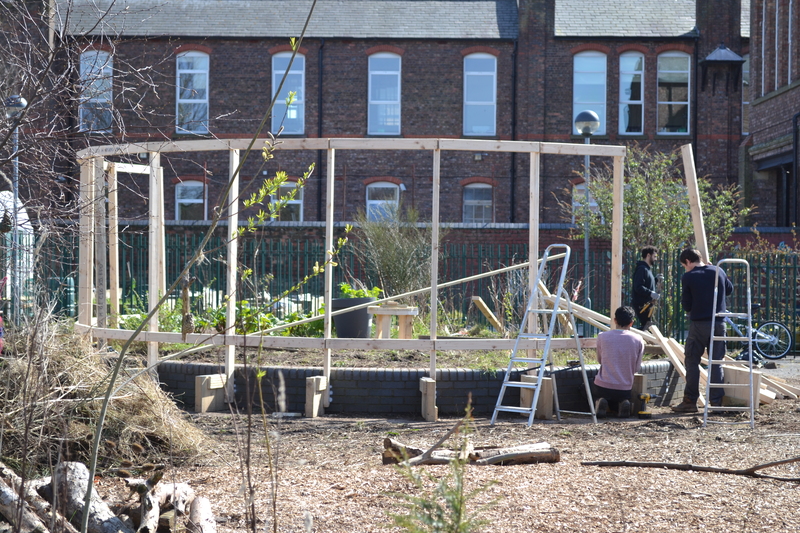 Four voices come together to reveal how the Resilience Garden, created as part of Liverpool Biennial 2018, went from an idea to a reality. Gardening has been happening in Granby for around 14 years, because that is what helped us smarten the place up and stop any demolition. So, this garden is very relevant as a piece of work. It joins up what’s happening in the Four Streets, further up Granby Street, and it also widens people’s experiences. It reflects a lot of nations and a lot of people. The community have been involved by choosing plants, sometimes because they remind them of home, or their mother or of Granby itself. We had an open day and people brought their plants with them. For example, there is an olive tree, which was donated by Carl who is working on the garden. There’s also lots of herbs to reflect the cooking which goes on in the area, and that’s another thing that is important about the garden; it helps people to create a connection with what they eat and what they grow, and for kids that’s really important. In fact, I’d quite like to see a goat here. Maybe a few chickens! When I met Mohamed in his Paris studio, I found he was someone who was incredibly friendly and open to learning from other people. He had this idea of developing a garden, so it felt very natural to think about Granby in that context, especially around the idea of Franz Fanon’s work as an activist and an artist, and all that he represents is really in sync with how Granby is and how it works, as well as how diverse it is. So we really took the time and developed the conversation, first with Granby CLT and then inviting more members of the community. Mohamed came over several times from Paris. He got on with everyone and they all really liked the proposal. The fact that he has been on site has been really influenced by the community in terms of how we grow things, who works on the project, what is the longevity. Being able to partner with Kingsley Community Primary School has been absolute blessing, because in working with the school, you already have a family that will love and nurture and look after the garden. With gardens, you need a community to love it. And you’ve got the schoolchildren, the teachers and the headteacher Alison Whittaker, who have all been one hundred percent behind the project. The kids are all a bit awestruck by it. I think initially, they weren’t quite sure what was going on, but they love this space so they were quite excited that we’d been chosen. But everyday when they saw things going up, I had kids coming up and telling me what’s going on. They were very excited in assembly as the structure was going up, shouting, “It’s white! It’s white!”, because it was just plain wood at first. They have kept their eye on it throughout. The classes come out and plant and enjoy the space. They come out here and do some art as well, some sketching or sculpture. I think it’s something that will have a longevity. We have outdoor learning and story-telling. It’s an arts space and I’m hoping it’s a space that will be renewed with planting, not just by the school but by the community also. I’ve just been talking to some local people and we were saying, this can’t be the end of it! We like art in our school. We always have art week in July, and we like inviting artists in, but we’ve never been able to get anything on this scale, especially an artist of this calibre, so it’s really good for us. When the Biennial invited me to make a project in Liverpool, I said that I really wanted to make a garden, but I didn’t want to make a garden that would just be for the opening or the festival, and then we have to destroy it and say it is done. I talked with Polly about finding a solution to keep this garden alive, even though I’m not here. So we started meeting different people, and we met Granby and they were interested. Without them, this would not have been possible. It was the same thing with Kingsley Community Primary School. That’s the challenge: you have to get people to be involved. It’s an exchange. Living here has certainly impacted the work, because if I hadn’t been here everyday, I would not have got the atmosphere or the rhythm. When I go out and walk down the street, the kids say, “Hey, Mohamed, how are you?” While I don’t get the whole reality, I definitely know what it means to be here in Granby. With both the people and the plants, it takes time. Join us at the Resilience Garden for our Granby Gardening Club, open 2–5pm every Saturday until 27 October 2018.